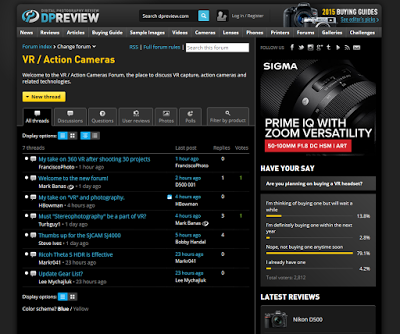 Digital Photography Review, the most popular digital photography website and largest photography forum in the world, has finally created a VR forum (shared with action cameras). But finally they’ve listened! 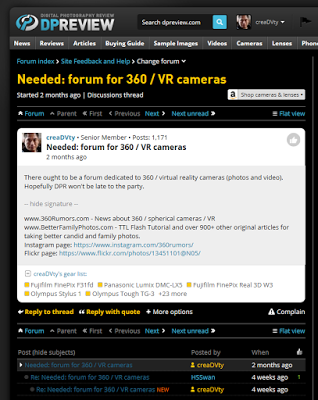 Anyway, I will be checking out the VR forum from time to time. My user name on DPR is creadvty.